Francisca Martinez DeRobledo was born on October 16, 1930 in Mexico to Juan and Barbara (Cerna) Martinez. She passed away on February 12, 2019 in Geary, OK at the age of 88. 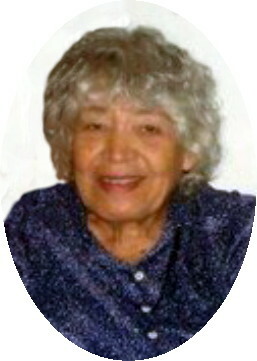 Francisca moved to Oklahoma in 1982 and lived in the Geary area. She was married to Donico Robledo who preceded her in death. She enjoyed gardening, flowers, and working with her animals. She was Catholic. She was preceded in death by her parents, Juan and Barbara Martinez, her husband Donico Robledo, and 6 siblings. Survivors Include: Eugenio Robledo Martinez and wife Dora of Geary, OK, Fidel Robledo Martinez and wife Luisa of Mexico, and Jauna Robledo Martinez of Mexico, 13 grandchildren, 30 great grandchildren, her brother, Pedro Martinez of Mexico, her sister, Julia Martinez of Mexico, as well as many other relatives and friends.